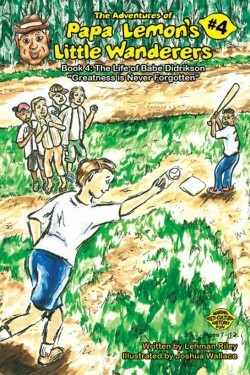 Travel back in time with the Little Wanderers to meet Babe Didrikson, a great American athlete of the 1930’s. 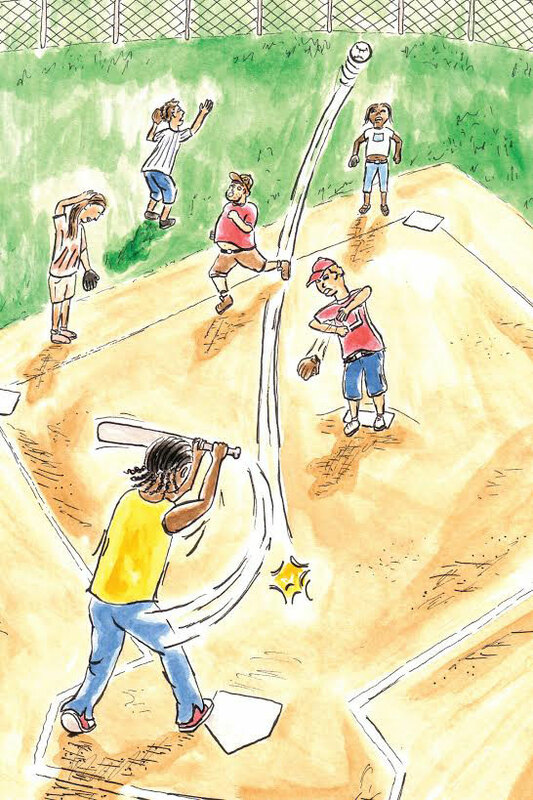 The Little Wanderers will take a swing at Babe’s best pitch in a pickup baseball game they will never forget, and see for themselves how she dominated the 1932 Olympics. Papa Lemon’s Little Wanderers have once again stumbled into the chance to turn a school assignment into a life lesson. After competing in their fifth grade championship baseball game they reminisce with Papa Lemon and Mama Sarah about the great Babe Didrikson. Well at least Nikki does. The rest of the crew are not quite sure who this Babe is. 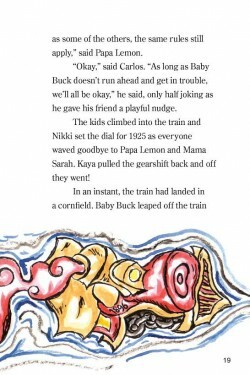 So with the help of Papa Lemon and Mama Sarah’s encouragement they hop on the train and head back in time. Twice! With this installment of the Papa Lemon series, author Lehman Riley gives the wanderers the chance to interact with one of sport’s all time greats. And with Mama Sarah offering some background information we all can learn about someone who really was a multi-talented athlete. Babe did it all. Baseball, basketball, golf and tennis. Track, bowling and even boxing. She was a hero among her childhood friends and in our country, when she won numerous medals at the Los Angeles Olympics in 1932. Joshua Wallace’s colorful illustrations drop us right into the action and have us as nervous as the wanderers when it comes time to meet Babe. 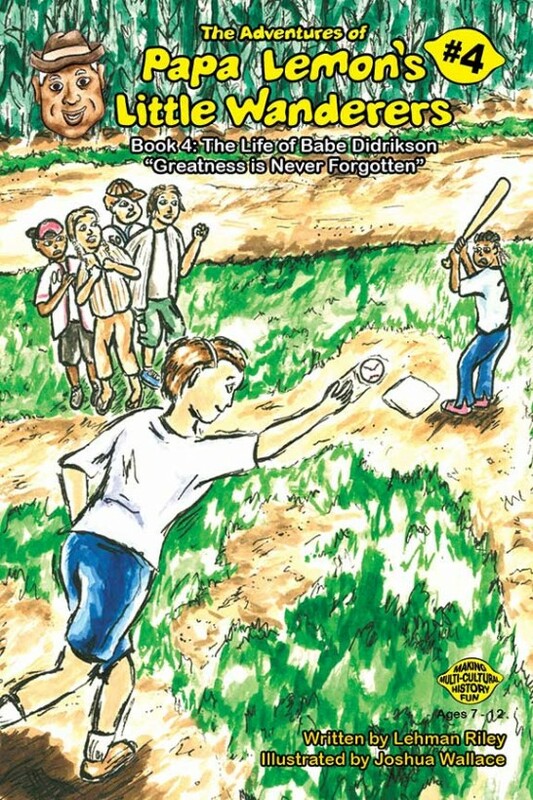 But all ends well as the kids return bubbling with excitement and eager to write their reports so their classmates can also learn about the great Babe Didrikson. My 8 year old son thought this book was great. “It just pulls you in the first few pages, and keeps going from there”. I don’t think he knew much about Babe Didrikson before this book, but he has a great appreciation of her after reading it. I fully support your book series and find it to be a very innovative way to teach children about multi-cultural history while at the same time making it fun. The use of grandparents as positive role models for the children emphasizes the importance of family and community that creates an additional level of depth that truly makes this a unique book and one worth reading. I recommend the Papa Lemon books to all kids, parents and grandparents. 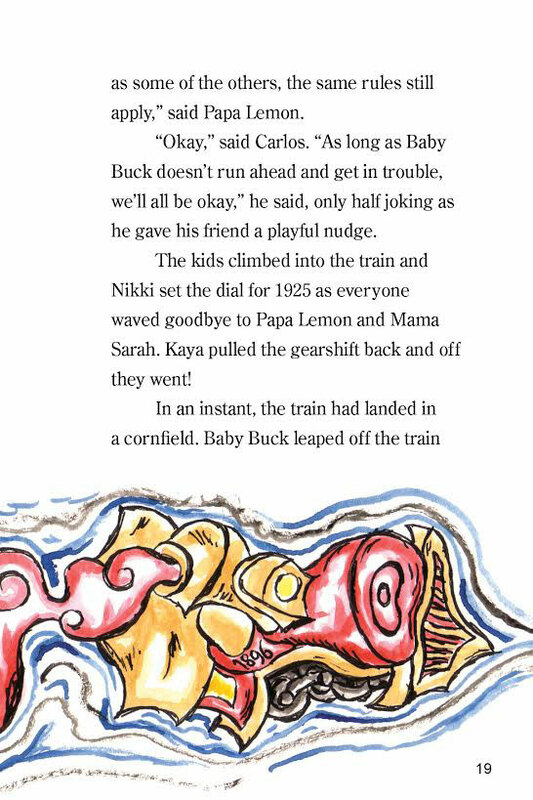 Join Papa Lemon on his Magic Train and travel back in time on a joyous journey making family, culture and history come alive. 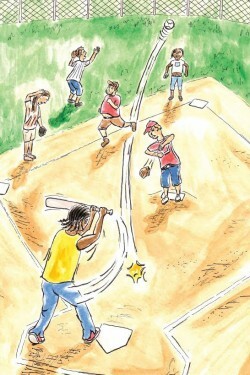 The author, Lehman Riley, has created books which grandparents, parents and kids should all read and enjoy together.